An independent organisation which seeks to help advance farm animal welfare. Conservative Animal Welfare Foundation is an independent organisation which seeks to help advance farm animal welfare. The organisation was co- founded by a Conservative Association vice president and has Conservative MP Patrons. 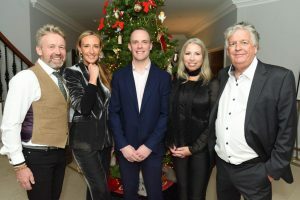 It has two Co-Founders – Chris is the present vice president of a Surrey Conservative Party Association and the former Chairman. Chris works in international finance and provides strategic oversight to the campaigns. Lorraine is a former Vice Chairman of a leading animal welfare charity, was awarded the International Fund For Animal Welfare 2012 Award presented at a reception in the House of Lords, was a shortlist finalist for the Inspiration Awards For Women Award 2013, was awarded the RSPCA Lord Erskine Silver Award 2014 and was awarded a finalist award in the Ceva Animal Welfare Awards 2016. Lorraine is the public face of our campaigning providing strategy decisions and is responsible for directing the daily operations of the campaigns. 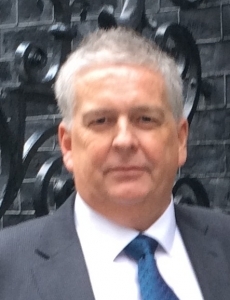 Peter Hall joined Conservative Animal Welfare Foundation as a Director in February 2019. 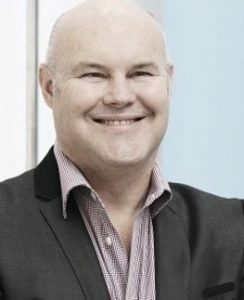 Peter is the Executive Director and Executive Chairman of Hunter Hall, the largest, and second oldest, dedicated ethical investment company in Australia. Peter has dedicated the last 20 years to campaigning and personally contributing to support animal welfare and highlight the biodiversity crisis. 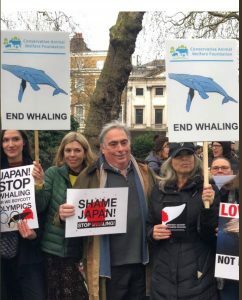 He is a Patron of the Asian Rhino Project and Sea Shepherd UK, helped to found the Sydney Rainforest Action Group, was a Director of the International Rhino Foundation, Patron of the Asian Rhino Project and Founder of the London Committee for the Abolition of Whaling. Peter was awarded a Member (AM) of the Order of Australia in 2010 in recognition of his significant philanthropic contributions to society and his service to the financial management industry. He served for six years as the Chairman of the All-Party Group for Animal Welfare and during that time generated trail- blazing reports into puppy farming and in 1997, the use of performing wild animals in circuses. He also campaigned with eventual success for the reform of the Dangerous Dogs Act. Roger continues to ensure that these matters have their rightful place within the political thinking of the Conservative Party and also works with our Members of the European Parliament to promote the cause of Europe-wide solutions to animal welfare issues such as religious slaughter and the use of animals in medical experiments. He is the President of Conservative Animal Welfare, an Honorary member of the British Veterinary Association ( BVA) and the Chairman of Trustees, The Society for the Protection of Animals Abroad. 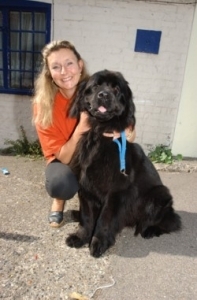 Lady Suzy Gale has worked in Animal Welfare for many years. 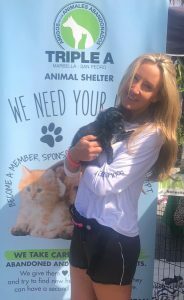 Initially supporting her husband Roger, in his work for the All-Party Animal Welfare Group in the Houses of Parliament, and subsequently developed her own animal welfare programme and interests. 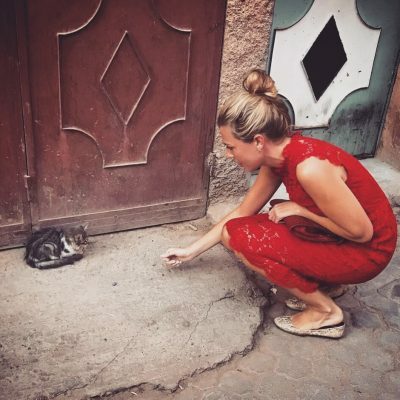 Suzy is the Founder of Animals Worldwide to support small neutering projects and groups in the UK and worldwide to help undernourished and ill treated cats, dogs and donkeys. Henry Smith is the MP for Crawley and the Co-Chairman of the All Party Parliamentary Group for Animal Welfare in the House of Commons. Henry has led a number of important debates on animal welfare including the need for CCTV in all slaughterhouses. Henry has hosted many animal welfare events. Henry is the deputy Chairman for the All Party Parliamentary Group on Veganism and Vegetarianism. The first meeting took place in December 2016 in the House of Commons and was attended by MPs, Peers, NGOs and members of the public. Sir David Amess is the MP for Southend West. Sir David is very passionate about animal welfare, this can be seen in his parliamentary record having supported a number of animal welfare bills and acts over his time as an MP. These include introducing the legislation for the Protection Against Cruel Tethering Act in 1988, sponsoring the Horses and Ponies Bill in 1984-5, the Pet Animals Bill in 1990 and also sponsoring the Responsible Pet Ownership Competition for MPs and Peers. In 2011 he won the Dods Animal Welfare and Environment Award for his leading role in and commitment to animal welfare. The award is given to the Parliamentarian who has done the most to tackle issues concerning the welfare of animals and the natural environment. In recent years Sir David has successfully campaigned to stop the unethical practice of testing domestic products on animals, tackled the illegal wildlife trade and fought to put an end to puppy farming. A prominent voice in the culling of badger’s debate, he consistently votes against any changes to the Hunting Act in order to protect the animals from culling. David served on the Health Select Committee from 1998 until 2007. 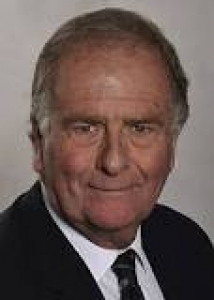 Due to his role on the Health Select Committee, he became one of the most prominent Conservative spokesmen on Health issues, becoming Chair of the Conservative Party Backbench Committee for Health in 1999. While a member of the committee, he played a prominent role holding an inquiry into the state of obesity in the UK, leading to the publication of a report in 2004 and has campaigned on various health issues since. We look forward to working with Sir David to help advance our campaigns. 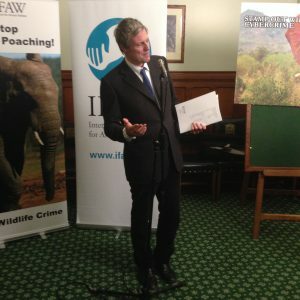 Zac Goldsmith MP is passionate about the environment and animal welfare. Zac has built a reputation as one of the country’s most formidable campaigners on green issues. He has championed a range of environmental causes, highlighting among other things, the concern of climate change. Zac Goldsmith was the Editor of the Ecologist Magazine for 10 years and received Mikhail Gorbachev’s Global Green Award for ‘International Environmental Leadership’. Zac’s campaigning on environmental issues goes back to well before he first became an MP, and has consistently championed green policies in Parliament, in his constituency and beyond. He helped deliver a rare pro-Conservative headline in The Guardian before a General Election: the March 2015 announcement of a vast network of giant overseas marine reserves, which he championed. Zac helped deliver the first global summit on the illegal wildlife trade, which put the UK at the forefront in the battle against ivory poaching. He was heavily involved in the O’Neill Review on Anti-Microbial Resistance. For many years Zac has actively supported campaigns that speak for Britain’s small and family farmers. Zac hosted the launch of the book ‘ Farmaggedon’ in Parliament. Philip Lymbery, CEO of Compassion in World Farming, spent three years investigating the hidden cost of cheap meat and the devastating impact of factory farming on people, animals and our planet. His book, Farmageddon, was written with political journalist Isabel Oakeshott, and exposes the threat Britain faces of a new wave of US-style industrial farming that would spell the end of the British countryside as we know it. Zac’s short film focusing on the environment and animal welfare broadcast on Channel 4 can be watched here. On the 17th October Zac proposed the motion ‘Live Animal Exports’ EDM number 412 -welcoming the potential for a ban on the live export of animals after the UK has left the EU; and urges the Government to support the 10 Minute Rule Bill presented by the Right hon. Member for Chipping Barnet, Theresa Villiers on the 25th October 2017. She has worked for the party and in government for over 6 years. Carrie is the former Director of Communications for the Conservative party. She worked as special adviser for Sajid Javid at the Department of Communities and Local Government and was also special adviser for John Whittingdale at the Department of Culture, Media and Sport. Carrie has worked hard to promote recent Conservatives policies on the ivory ban, CCTV in slaughterhouses, increasing sentences for animal cruelty, banning of micro beads and animal sentience. 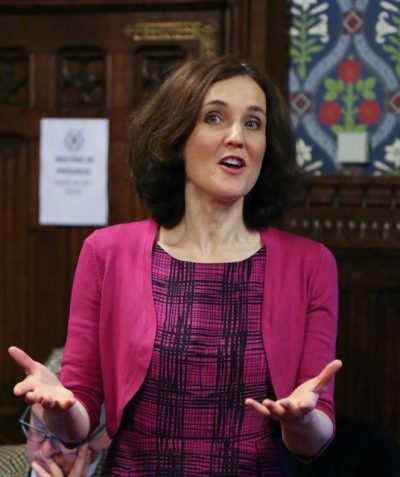 Theresa Villiers MP has long campaigned to advance animal welfare and led the Westminster Hall debate on improving farm animal welfare in farming in January 2017. Theresa is currently leading a Bill to end live animal exports for slaughter. Dominic is a Human Rights Lawyer and served as Secretary of State for Exiting the European Union. The Esher & Walton MP has been a Founder Patron of our wildlife protection sister organisation Blue Fox since 2010 and has spoken at Blue Fox wildlife protection welfare events for many years. Dominic was the first MP to speak at a wildlife protection fringe event organised by our Co- founders at the Conservative party conference in 2010. John is the Vice President of the European Parliament’s Animal Welfare Intergroup. John is a strong voice for animal welfare in the European Parliament and in the UK. John launched his book on Animal Welfare Issues ‘Animals Can’t Vote But You Can’ at our fringe event at the party conference on 1 October 2018. The book urges for an end to live animal exports, unethical animal attractions, an end to non stun slaughter, fur farms, foie gras, trophy hunting and much more. 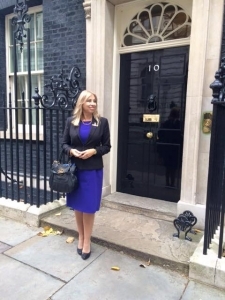 Elise is the Chairman of Esher & Walton Conservative Women’s Organisation. Elise was Councillor for Oxshott & Stoke D’Abernon for 5 years, she has also spent 3 years on the Parliamentary List and stood as a Candidate in the General Election in 2015. Elise is a Founder Member of EWCWO and is Creative Director of Lifestyle Brand Elskerlife https://www.ewcwo.com/about.html Elise has organised three animal welfare events for the Esher & Walton Conservative Women’s organisation whose Speakers on this issue include Sir David Amess MP, John Flack MEP, Bill Oddie, Dominic Dyer and Lorraine Platt.